The RoboForex Company is registered in New Zealand. The main specialization of the company is to provide individuals and organizations with services in international financial markets. RoboForex gives clients an option to select the terms of trading operations: fixed or floating spread, “4 digits” or “5 digits”, instant execution or market execution. The RoboForex Company is registered in New Zealand in accordance with the Company Act 1993, registration number 2538375 . The main specialization of the company is to provide individuals and organizations with services in international financial markets. The company is a partner of several leading brokerage software developers. The company applies the STP model with the Bridge Technology to work with its Prime Broker and executes customers’ orders in Non-Dealing Desk mode. Focusing on professional participants, Roboforex creates and maintains conditions for the effective use of free cash assets. By offering liquidity with low spreads, reducing margin requirements and removing restrictions on trading, the company strives towards it's main goal - to create conditions for private and corporate investors to freely access global financial markets. We keep and multiply the main asset of our company - the reputation and respect of our customers. RoboForex offers its clients to become participants of "Verified Client" program and get several unique opportunities. Each verified client has an access to the extended list of advantages: priority processing of applications and requests, personal services, additional ways to deposit and withdraw funds, etc. Each of the Company’s clients may become a participant of the program after passing the complete verification. The list of our offers is constantly expanding, that's why after passing the complete verification you'll always have at hand everything that is necessary for stable and profitable trading on Forex market. The forex bonus program is intended to increase the trading volume of the Customers’ accounts. If all requirements for the forex trading bonus program are met, the sum put to your account as a bonus can be withdrawn without any limitations of restrictions. Forex deposit bonuses for MetaTrader5 (MT5) accounts are only available for the participants of "Verified client" program. 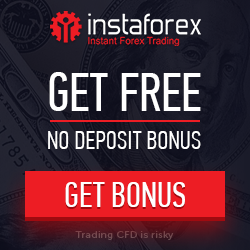 Forex Deposit Bonus is available for all traders with MetaTrader4 (MT4) accounts: Fix-Cent, Fix-Standard, Pro-Cent and Pro-Standard (except for CopyFX and ContestFX accounts). Deposit Bonus is up to 50% of the payment you make via automatic deposit service in your Live Account. Other ways of depositing trading accounts (for example, via trading terminal) do not participate in the "Forex Deposit Bonus up to 50%" program. The total sum of all bonuses on one account (depending on the account currency) can't be more than 5,000 USD / 3,500 EUR. Maximum amount of bonuses on all of the client’s accounts can’t be more than 10,000 USD / 7,000 EUR. The limits for the total amount of bonuses on one account (depending on the account currency) are expanded up to 7,000 USD / 5,000 EUR. The total amount of bonuses available for all accounts owned by the same client is increased up to 14,000 USD / 10,000 EUR. Also you have the opportunity to choose the bonus level - 10%, 15%, 20%, 25% or 50% of deposit funds. <Number of lots> = <Total amount of Bonus in USD*>. Example: You receive a 300 USD bonus in a Fix-Standard account. To withdraw the received bonus, you need to make a transaction of 300 USD = 300 standart lots (only closed deals are taken into account). 1 standart lot = 100 lots for Fix-Cent account. * - In case trading account is deposited in other currency, the sum will be converted into USD according to the Company’s internal currency rates. All deposit bonuses can't support reserve and can’t be used for the maintenance of an opened orders i.e. your current bonus will be written off the account, if the equity (see figure below) on your account is less than the sum of active bonus. Example: You deposit 5,000 USD in to your trading account and receive a bonus of 2,500 USD (50%). According to the conditions of the offer, if the equity on your account is less than 2.500 USD the extra bonus will be written off your account. Note: Information on minimum Equity, after which the bonuses are written off your account, can be found in "Your Bonuses" section of Live Account. Example: You deposit 5,000 USD in to your trading account and receive a bonus of 2.500 USD (50%). Let’s suppose that after you received the bonus, the sum on your closed deals is 1,000 USD. According to the conditions of the bonus program, you are allowed to withdraw no more than 1,000 USD (your Profit), keeping the bonus sum on your account. Note: if you have open orders on your account, Free Reserve may be different from Equity. A client has a right to decline the bonus program of the RoboForex. In this case they can withdraw sums from their account without any limitations and restrictions, and the bonus is written off the account. The bonus program has no limitations on the number of bonus accounts or a number of bonus transactions. 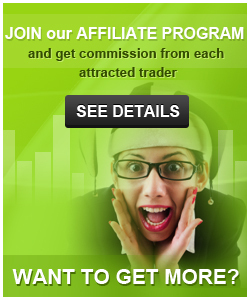 The bonus program has no limitations in Forex affiliate programs commission payments** . ** - The exception is the "Welcome Bonus" accounts until it is in the bonus group. Please see conditions for "Welcome Bonus 3.0". Note: that RoboForex reserves the right to cancel the forex bonus without giving any reasons and/or advance notice. Attention! No deposit bonus Welcome Bonus 3.0 is not available for those clients, who earlier received Welcome Bonus 2.0 or 1.0. Each client of the Company, whose trading volume is big enough, is automatically granted with "RoboForex Welcome Bonus 3.0" coupons. Each coupon allows the owner to deposit $15 (1,500 cents transferred to the account) as No deposit bonus "Welcome Bonus 3.0" to any trading account, which belongs to another RoboForex client. Each client receives "RoboForex Welcome Bonus 3.0" coupons for trading volume on his account. Each coupon allows the owner to deposit $15 as "Welcome Bonus 3.0" to any RoboForex account. The owner of a coupon receives a commission for transactions, made on trading accounts which he deposited with Welcome Bonus 3.0. A coupon is automatically given to a client, if his trading volume equals 5 standard lots. Only closed deals are taken into account for calculating the trading volume. The maximum number of coupons, which may be received by a client during one calendar month, is 20. This number may be increased after the Dealing Department processes an application sent by a client. This application can be sent in free format using Ticket System in Live Account. Trading volume is calculated and new coupons are given once a day, at 12:00 a.m. server time. To receive and activate a coupon, a client has to register a new trading account and enter the bonus code in "Welcome Bonus 3.0" field. Validity period of each coupon is 30 days. If a coupon is not used during this period, it will be cancelled and marked as "expired". A client can always check the status of his coupons in Live Account, "WB 3.0 coupons" section. - Account type: Fix-Cent, Pro-Cent, Fix-Standard, Pro-Standard. - Trading platform: MetaTrader4, MetaTrader5. - Account currency: USD only. - Account holder and coupon owner are not the same client. - A new Live Account, which was registered later than a coupon was created. - A coupon can be used only for new trading accounts at the Company. “RoboForex Welcome Bonus 3.0” will not be deposited to a trading account, if it has a least one transaction made. During the activation of the very first coupon, an owner of the coupon is automatically provided with 2 affiliate accounts in his Live Account (in case he hasn’t got any yet). These accounts are used to receive affiliate commission for transactions made on the trading account, which he deposited with Welcome Bonus 3.0. Affiliate commission is calculated according to the "Agent" program. Attention! A coupon cannot be activated to deposit trading account, which belongs to the coupon owner. If this condition is violated, a client will be excluded from the offer and all his active coupons will be cancelled as well. An owner of Live Account may use only one coupon for MetaTrader4 account and one for MetaTrader5 account. Thus, the maximum number of coupons for a single Live Account is 2. RoboForex reserves the right to exclude a client from the offer, as well as cancel all his active coupons, without giving any reasons and/or advance notice. Conditions of working with no deposit bonus "Welcome Bonus 3.0"
Before the requirements are fulfilled, only the profit is allowed to be withdrawn. Example: You received 1,500 cents as a no deposit bonus. If your profit after trading is 1,000 cents then according to our conditions you can withdraw 1,000 cents. If the bonus account is deposited with a client’s own funds, then in case of a negative balance on the account, our policy is that a client loses his own funds first. Example: You got 1,500 cents as a bonus and deposited your account with your own 1,000 cents. If your profit after trading is -500 cents, then, according to our conditions, you can withdraw 500 cents only, i.e. your own funds minus profit. Once a StopOut takes place, Welcome Bonus 3.0 is written off the account. Attention! The most essential condition of "Welcome Bonus 3.0" offer is the company’s right to cancel the bonus received by a client earlier without giving any reasons and/or advance notice, as well as cancel all transactions made using Welcome Bonus 3.0. This condition is considered to be accepted by a client starting from the moment of depositing Welcome Bonus 3.0 to his trading account. The "Demo Option" contest is held on RoboOption demo accounts weekly. Verification of your Live Account. In your Live Account you have to open only one contest account, which will take part in all competitions. Initial deposit — $5,000 (initial balance is deposited one minute before the competition starts). At the moment the contest finishes, all active options are automatically sold. If there is no technical capability to sell all options at once, they will be sold in turn. In this case, the difference in time of recording of the results can't serve as a basis for a claim to reconsider the participants' final results. Close relatives and affiliated persons can't participate in the contest. The winner is the participant with the largest deposit on the contest account by the end of the competition. The remaining prizes are defined in the same way. For the total ranking calculation, we do not take into account those contest accounts with the final deposits less than the initial ones. In case the participant claiming for the prize is disqualified, the award goes to the participant next in the ranking. One has the right to file a complaint concerning the contest results during one business day after the results are announced. Complaints are to be sent to contest@roboforex.com. In case the results of several participants are equal, the prize fund is to be shared between them according to their final ranking. Prize Money is a bonus, which may be withdrawn only after all the requirements described below are fulfilled. Prize Money can only be transferred to RoboOption accounts. To withdraw your bonus, you need to make trading volume, which is 50 times more than the sum of the received bonus. Non-profitable transactions are not taken into account when calculating your trading volume. The client can withdraw the profit from his trading account only after making the required trading volume or after depositing his trading account with real money. The “KingSize MT5” contest is held weekly and involves only demo accounts. Each competition starts on Thursday, at 8:00 p.m. (server time), and finishes at the same time on Friday. A nickname at the Company’s official Message Board, which is linked to your Live Account. Initial deposit — $1,000 (initial balance is deposited one minute before the competition starts). Stop Out level — 20%. Account type — MT5 Demo Pro. At the end of the competition all open orders will be automatically closed by force. In case it is technically impossible to close all orders at the same time, they will be closed in turn, and the difference in closing time will not be considered as reason for complaint or recalculation of the participants' final balance. Expert Advisors (scripts) are prohibited. The winner is the participant, who opened the order with the biggest volume. The remaining prizes are defined in the same way. In case the participant claiming for the prize is disqualified, the award goes to the participant next in the ranking. One has the right to file a complaint concerning the contest results during one business day after the results are announced. Complaints are to be sent to contest@roboforex.com. Prize pool is distributed between 10 best traders of the competition according to their final ranking. The prize is to be paid only after a winner after passes the verification procedure of their Live Account at the RoboForex Company. Prize Money can only be transferred to MT5 Fix-Cent, MT5 Pro-Cent, MT5 Fix-Standard, and MT5 Pro-Standard accounts. To receive the prize, you need to send Contest Moderator at the RoboForex message board a private message, specifying your account number. Before the requirements are fulfilled, you aren’t allowed to withdraw a sum which exceeds your Profit. Once a StopOut takes place, Prize Money is written off the account. - change the contest rules with an advance notice published on the Company’s website of message board. The “Trade Day” contest is held weekly and involves only demo accounts. Each competition starts on Wednesday, at 12:00 p.m. (server time), and finishes at the same time on Thursday. Stop Out level — 0%. Account type — MT4 Demo Pro. Contest tickers are the tools with .c. postfix. The winner is the participant with the largest deposit on the contest account by the end of the competition. The remaining prizes are defined in the same way. For the total ranking calculation, we do not take into account those contest accounts with the final deposits less than the initial ones. In case the participant claiming for the prize is disqualified, the award goes to the participant next in the ranking. One has the right to file a complaint concerning the contest results during one business day after the results are announced. Complaints are to be sent to contest@roboforex.com. from 4th to 10th place — $50. Prize Money can only be transferred to MT4 Fix-Cent, MT4 Pro-Cent, MT4 Fix-Standard, and MT4 Pro-Standard accounts. To receive the prize, you need to send Contest Moderator at the RoboForex message board a private message, specifying your account number. The “Demo Forex” contest is held monthly and involves only demo accounts. Competitions are held according to the schedule. Account type — MT4 Demo Fix. The maximum number of orders is 10. The maximum transaction volume is 0.1 lot. 2. Contact RoboForex to have the funds transferred from your old account to the new one. I have been trading with RoboForex since July. I have 8 years’ experience and I have used many brokers. First, this is by far the absolute best customer service I have ever received. I have a personal account manager.. The trading conditions are excellent, I have watched my trades come within a stop loss and not take me out. Therefore,Leverage is high, and hedging is allowed. While hedging is not part of my strategy, high leverage certainly is. Good broker to deal with, spread on EU pair is fantastic and allow scalping. In addition, I see a lot of trader trading with this broker so I feel my invested money is secure in it. Highly recommend!